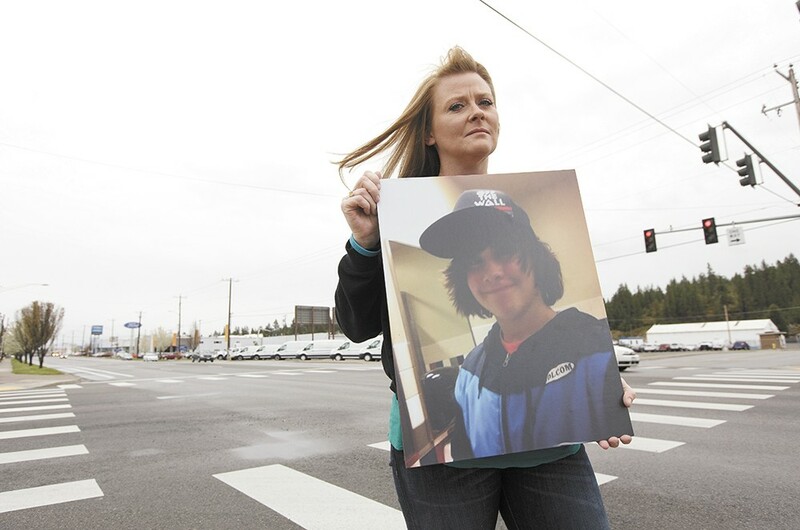 Carrie Thomson holding a photograph of her son Ryan Holyk at the intersection where Ryan sustained fatal injuries. Being 15, Ryan Holyk loved Mountain Dew and Captain Crunch and dreamed of becoming a professional video game player. He was saving for a Corvette, but spent most of his time on a bicycle, riding around town with friends. It's those moments his friends and family are remembering now. "This other time, we were outside of Rocket Bakery and [Ryan] was yelling 'Hi!' to cars," Riley Baldwin recalls. "This one guy didn't respond, so Ryan said 'Hi!' even louder, and the guy turned around and said 'WHAAAT?' Ten minutes later we were drinking Mountain Dew and eating bagels, and I looked at him and said 'WHAAAT?' [Ryan] laughed so hard he puked bagels and Mountain Dew all over the sidewalk." Baldwin draws fits of laughter from eight of Ryan's other friends and family members who have gathered at his mom and stepdad's house to retell their favorite stories about Ryan. They've done this about twice a week since the 15-year-old's death in June 2014. "He was very difficult," adds his mom, Carrie Thomson, "but sweet at the same time." The story they don't want to relive is the story of Ryan's end. There are at least two versions of that story, and they diverge on one crucial detail that has prompted a wrongful death lawsuit against Spokane County by Ryan's family, who wants to know what really happened on May 23, 2014. Aaron Holyk, Ryan's dad, feels he owes it to his son to seek justice for his death. "It's just not right," he says. One version of the story starts on a clear May afternoon in 2014. Ryan's family was getting ready to go camping that weekend, but Ryan wanted to stay home and hang with his friends, which was typical. There was always a group of Ryan's friends hanging around the house, his mom recalls. Playing video games, swimming in the pool, watching TV, drinking all the milk. 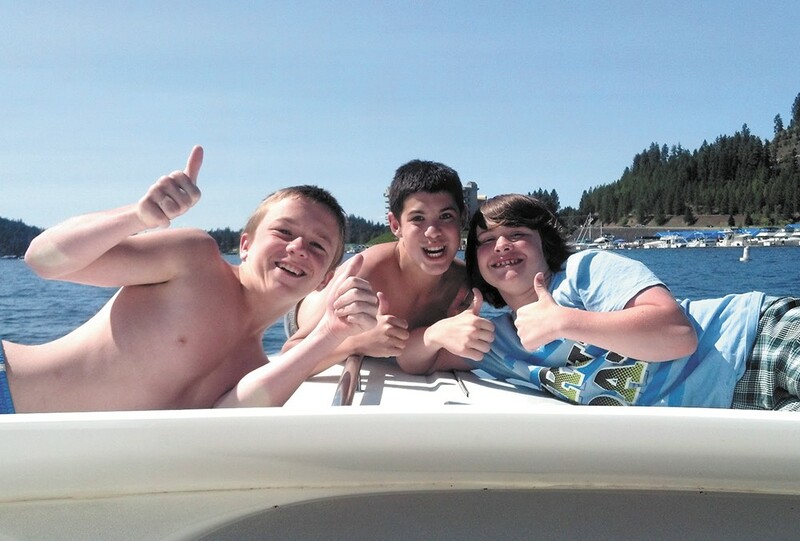 Ryan Holyk with friends at Lake Coeur d'Alene. On this day, Ryan was with four other guys — about half of his normal crew — riding bikes around Spokane Valley near West Valley High School. The boys usually rolled in a group of seven or eight, decked out in backward snapback hats, Vans shoes and Diamond Supply Co. T-shirts. Most of them have long, shaggy hair like Ryan's, and most have been friends since kindergarten. When the four boys got hungry, they rode to Ryan's uncle's house to make burritos. Ryan invited them all to spend the night, but only one, Jeremiah Martinez, was able to. After dinner, Ryan and Jeremiah decided to make one last trip to get some spare bike parts for Devon Baldwin, Riley's twin brother, from his dad's house a few miles away. Deputy Joe Bodman was on his way to assist a fellow officer who wasn't responding to dispatch after a traffic stop. Driving a light blue Ford Explorer SUV, he picked up speed heading west on East Sprague Avenue. The other officer was less than a mile away. It was dark — 10:24 pm — and Bodman accelerated to about 74 mph as he approached Vista Road, according to investigators. As he approached the intersection of East Sprague and Vista — the point at which the two accounts diverge — Bodman moved from the left side of the road to the right in order to pass a pickup truck. Neither his lights nor his siren were on. Ryan and Jeremiah were riding on the sidewalk heading south on Vista. Ryan entered the crosswalk without looking, despite the Do Not Walk sign. According to witness statements, he turned his bike handlebars hard right and fell off the bike in the middle of the street. It's not clear if he saw the oncoming SUV. Ryan Holyk on his bike. According to witnesses, Bodman swerved to the right to try to avoid hitting Ryan. One witness, the man driving the truck that Bodman had just passed, said the SUV hit Ryan's head as the vehicle veered through the crosswalk. Another witness at Charlie P's restaurant, facing the intersection, told police that the SUV blocked the potential point of impact, but he thought the deputy ran over Ryan's head because of the "thump thump" sound. Jeremiah's view also was blocked by the SUV, but he told police he thought the vehicle struck Ryan's back wheel. Bodman screeched to a stop when he passed through the intersection and alerted dispatch to what had just happened. "I just hit a pedestrian," he said. Twenty minutes had passed, and Riley's brother, Devon, started to worry. He checked the Spokane News Facebook feed for accidents and saw that a cyclist was hit at East Sprague and Vista Road. He left immediately, and when he got there, Jeremiah was sitting on the sidewalk, shaking. Ryan died from severe head trauma 10 days later. The other version of this incident involves a lot more math and calculations. According to the Spokane Valley Police Department and the results of at least two investigations — one by the Spokane Investigative Regional Response Team and the other by the Washington State Patrol Major Accident Investigation Team — Bodman's police SUV never hit Ryan or his bike. Using security cameras from nearby car dealerships, investigators determined both the deputy's speed and Ryan's speed, and the distance between the two at the moment of alleged impact. Both investigations concluded that the vehicle came within about a foot and a half of Ryan. No damage, other than minor scratches and daily wear and tear, were found on the bike or the deputy's SUV, and no DNA was found on the SUV. In the conclusion to the State Patrol investigation, Detective Sergeant Jerry Cooper defends the deputy's choice to not use his siren or emergency lights: "Not using emergency equipment afforded [Bodman] maneuverability on Sprague; if he was operating in emergency mode, it would have been most prudent to be in the left lane as others are required to yield right. This could have potentially caused further delays in his arrival at 2nd and Park." What the investigation doesn't mention, however, is Washington state law and the County Sheriff's Office policies on emergency lights and sirens. State law says emergency vehicles are allowed to violate traffic laws as long as their siren and emergency lights are on. The law also states that emergency lights and sirens do not relieve the driver of liability if something were to happen. The Sheriff's Office policy manual says a deputy must obey all speed limits and traffic laws if not using emergency lights or the siren. Another Washington state law says all cyclists riding at night must have headlamps and tail lights visible for at least 500 feet. Bikes are also legally required to have brakes. In the 47-page State Patrol report and throughout a 57-slide Power Point presentation of the response team investigation, the fact that Ryan entered the crosswalk without stopping, the absence of a helmet and the lack of brakes, lights and reflectors were mentioned seven times, casting blame on Ryan. After the investigations, the Spokane County Prosecutor's Office announced earlier this year that there will be no criminal charges against Bodman, and Sheriff Ozzie Knezovich said his office will now launch an investigation into whether Bodman violated policies and procedures. In a workbook Carrie Thomson, Ryan's mom, received from West Valley High School after her son's death, his answers about his future are telling. When the questionnaire asked for his abilities, he wrote "zombies and Black Ops (a video game)." Under values and priorities, he put "people, P.S.3, T.V. and bed." "Whenever he got money, he would barely spend any of it on himself," Riley Baldwin says. "He would always be like, 'Let's go down to 7-Eleven,' and then get you whatever you want." Ryan's little sister, Katie, says he always had scrapes and bruises on his arms and legs, probably from biking, skateboarding or jumping off rocks into the lake on camping trips. "There was no fear in the kid," his dad says. "He'd jump off any rock there ever was. Speed was nothing to him. He was one to worry about." 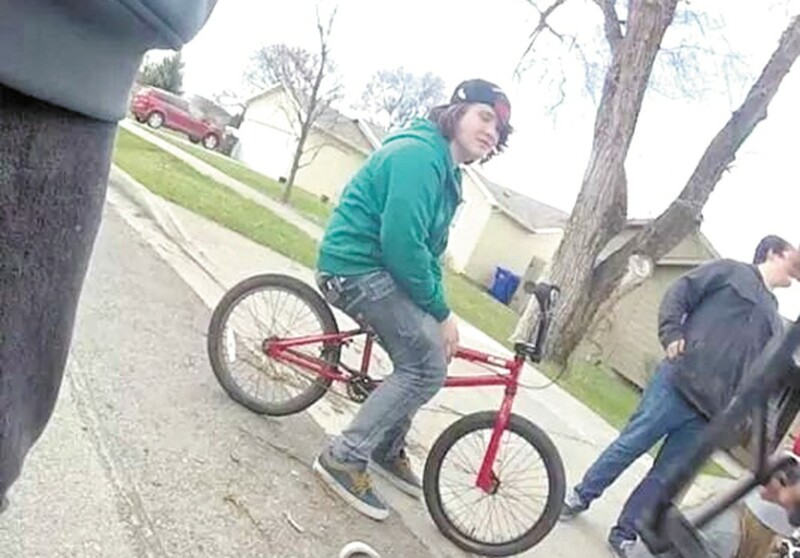 His friends estimate they've been riding bikes around Spokane Valley since they were 10 or 11. Although they rarely wore helmets (despite his mother's constant prompting otherwise), both of his parents say they trusted Ryan to be safe. It's unclear whether a helmet would have saved his life, but to recognize the anniversary of Ryan's death, Thomson has organized a 5K on June 20 to support helmet safety awareness. She calls it Ryan's Ramble. Can Spokane's police ombudsman weigh in on Ryan Holyk investigation?